Through over fifty engaging meditations, each with a closing prayer, pastor David McKirachan invites us to seek the mystery and magnificence in the world around us. By holding up a theological magnifying glass to the mundane activities of everyday life, these meditations will help to unveil the works of God's grace that might have otherwise gone unnoticed or unappreciated. 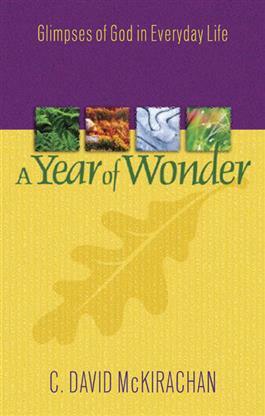 Ideal for private devotional time and a vivid resource for sermon illustrations and discussion starters, A Year of Wonder is a timeless devotional book.